Nikki van der Zyl’s contribution to the early James Bond movies is legendary. 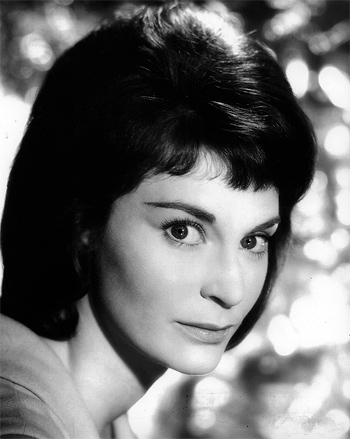 Her revoicing of many of the principal (and smaller part) actresses was demanding in the extreme and her professionalism was admired by all who worked with her. Only rarely in film production are the voices of actors deemed to be unsuitable in terms of clarity, diction or accent, but throughout the early days of the Bond series actresses were cast for their visual suitability rather than their mastery of the English language. 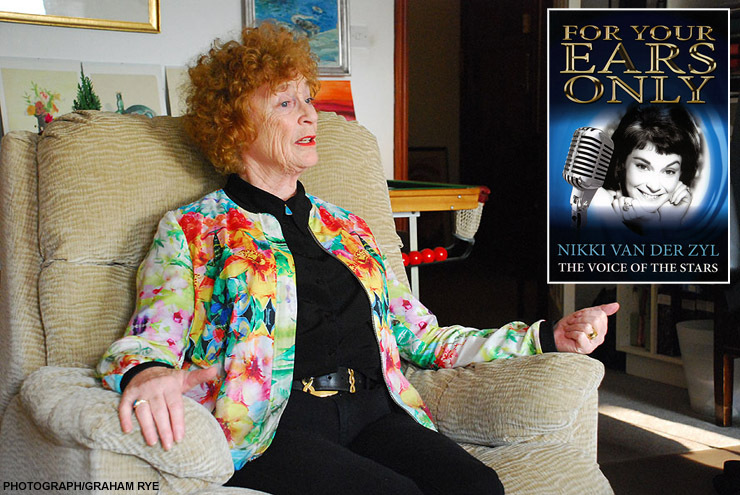 As a consequence the voices of several ‘Bond Girls’ were judged to have insufficient clarity for world markets and Nikki was selected for the highly specialised task of re-voicing them. Film actors are frequently required to re-record lines of their dialogue after a film is shot, especially if ambient conditions on location have made the original sound quality unacceptable. It’s a straightforward procedure as actors are familiar with their own style of delivery and they rapidly recapture their original performance and timing. On the other hand the task of replacing the voice of another actor and achieving perfect synchronisation , clarity and accent is a far greater challenge and only a specialised performer of Nikki van der Zyl’s standing would be considered to take it on. It is to Nikki’s credit that her performances have never been questioned and her greatest reward is to witness the disbelief of those informed that Ursula Andress’ voice is not her own. The same can be said of the voice of Claudine Auger in Thunderball and many others too numerous to name. As is shown by the credits at the end of any movie, filmmaking is teamwork and in the case of those early Bond blockbusters Nikki played her part with distinction. It is of great surprise to those who worked with Nikki that her name was never included in the credits. Purchase the e-book version of FOR YOUR EARS ONLY on Kindle. 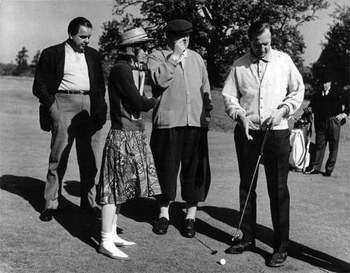 ABOVE: James Bond producer Albert R. Broccoli, Nikki van der Zyl, Gert Frobe, director Guy Hamilton and Harold Sakata on location at Stoke Poges golf course Goldfinger (1964).